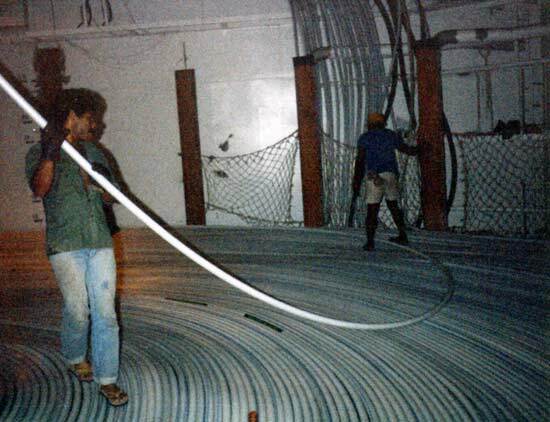 Introduction: From 1967 to 1996 David Watson worked at STC, where he was involved with most of the large cable laying ships of that time. His function was that of Cable Loading Officer during the loading and Project Engineer whilst laying cable. Here David shares stories from his unpublished memoirs. 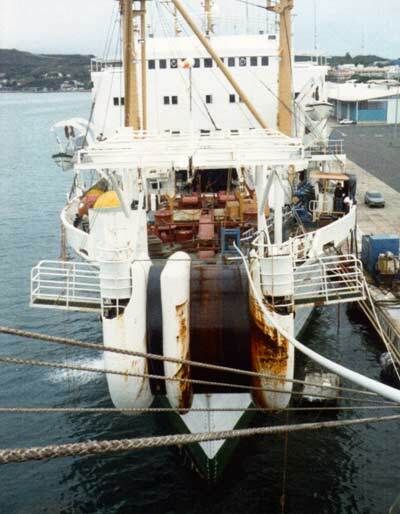 A very unusual operation took place - cable loading from a freighter to a conventional cable ship at a far-away island. 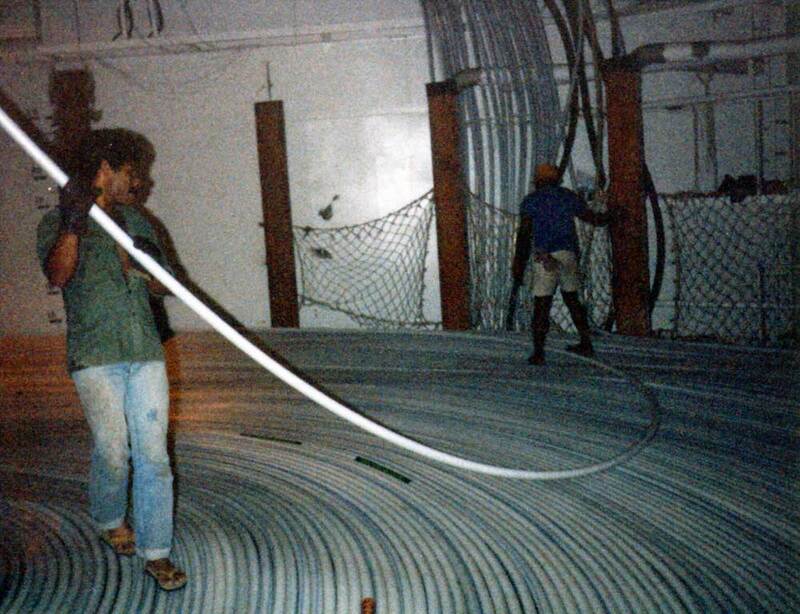 On 5th October 1992 CS Cable Venture started to take cable from the STC Southampton factory 109 dock. On the 11th October she was taken off charter to STC by Cable & Wireless to do a small operation for another cable organisation. This was the first part of load 1 for the ANZCAN project. The second part of load 1 started on the 19th October and was completed on the 26th. 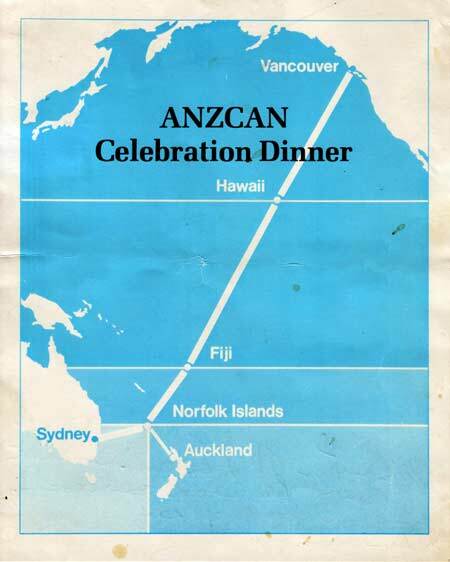 The ANZCAN project linked Australia – New Zealand – Fiji – Norfolk Island – Hawaii - Canada, and took seven lays of two cable ships, CS Cable Venture and CS Mercury, both ships belonging to Cable & Wireless. 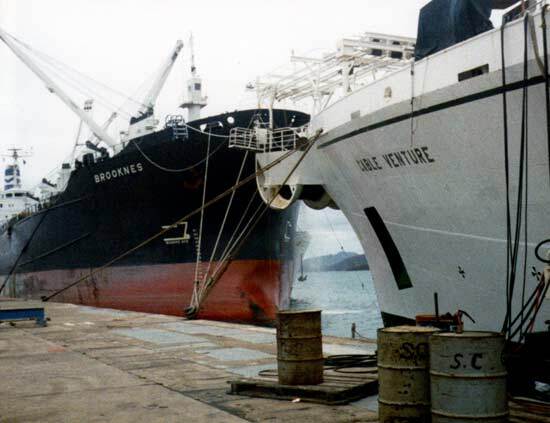 During the passage out to Vancouver, Cable Venture was battered by a large storm at sea, causing the cable to move in the tanks. Very bad damage to the cable was sustained and the ship proceeded into Vancouver to make repairs. 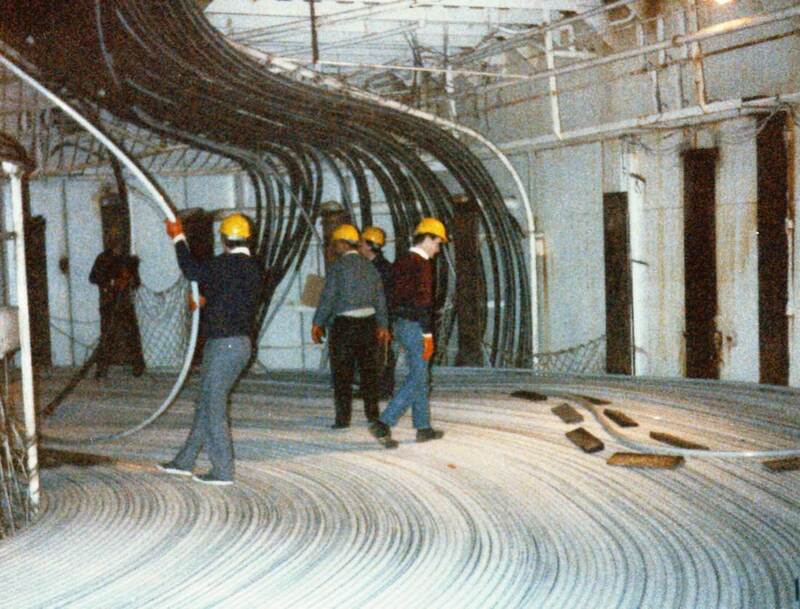 Cable had to be removed from the tanks, repaired and then reloaded. This put the timing of the Ready for Service date (RFS) for the entire system in jeopardy. To make up for lost time it was arranged for a freighter to take cable from Southampton and carry it out to the Pacific thereby saving Cable Venture valuable transit times. 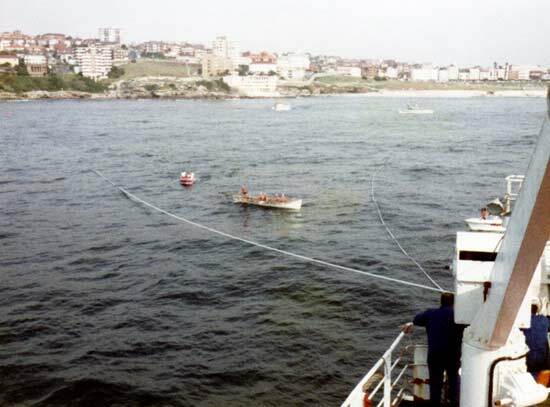 Meanwhile CS Mercury was getting on with the laying of the Southern section of the system down in Australia. 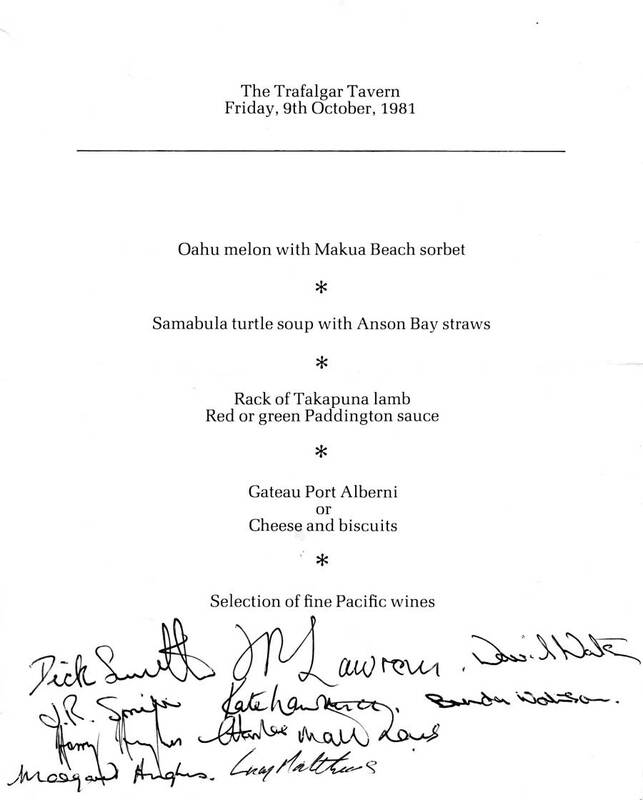 In October of 1983 a team consisting of STC Project Engineers and Jointers, flew out to Noumea in New Caledonia. This is an island in the Pacific Ocean 875 miles NE of Brisbane that was a French dependency. Brookness, the freighter, had left Southampton with the cable for lay 5 and on reaching Noumea proceeded to give up her cable to Cable Venture. The operation carried on day and night, and was very hot and tiring work. 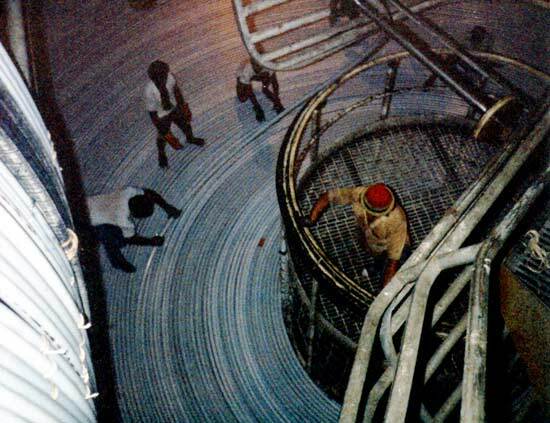 The loading gangs were from the local population and had to be trained in the art of cable loading. This at times was difficult, as some had not a clue as to what was being asked of them. They would try to stand inside the coil coming down through the tank top and were in grave danger of being knocked out. They were each given crash helmets, plimsolls and boots to wear in the tanks but they sold them ashore at the first opportunity and went around wearing flip flops. Health and Safety would have had a field day if it had happened in the UK. 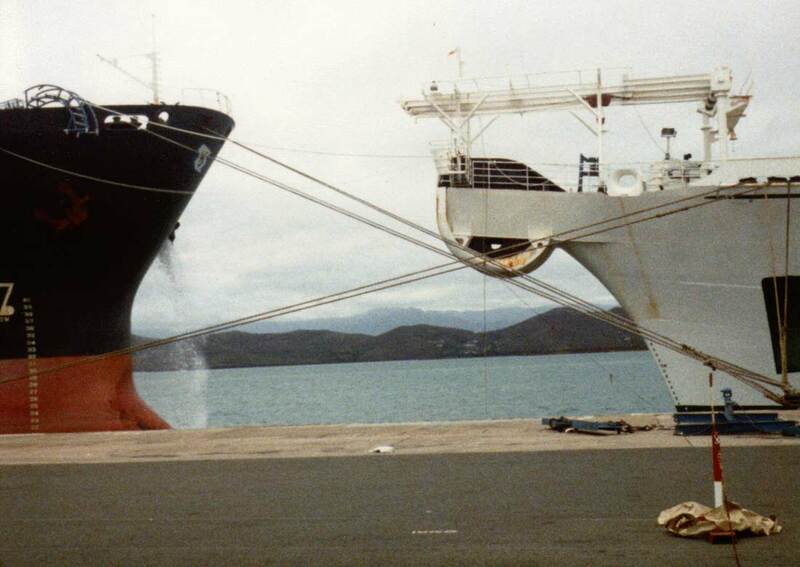 Cable loading Noumea style. Note the footwear. 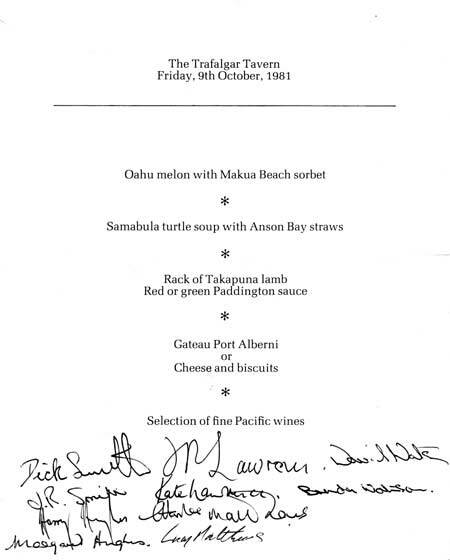 The system was finished in 1984 and at the end of the project, as the RFS had been met on time, a dinner was held in The Trafalgar Tavern at Greenwich as a thank-you for some of the people who had been working on the system. In 1984, at the conclusion of the entire project, STC issued a commemorative medal for ANZCAN, details of which may be seen here.